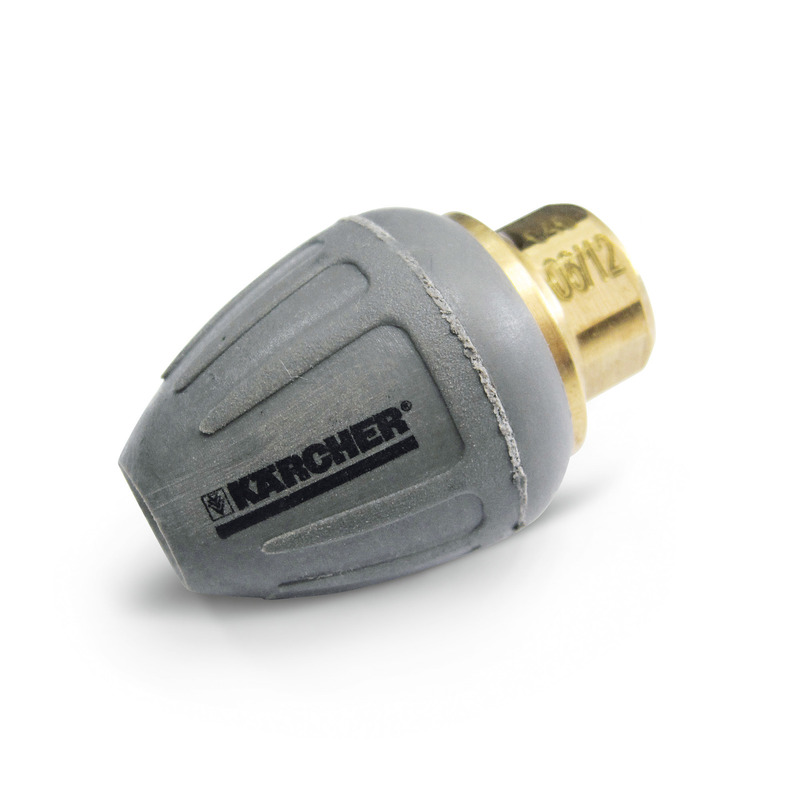 Pipe cleaning dirt blaster D 35 / 060 64159490 https://www.kaercher.com/ae/accessory/pipe-cleaning-dirt-blaster-d-35-060-64159490.html The forward-tilted rotating pencil jet removes the most stubborn dirt. The three backwards-tilted jets ensure the necessary forward movement, as well as convenient handling. The innovative and powerful pipe cleaning dirt blaster (ø 35 mm) combines the advantages of a dirt blaster with the properties of pipe cleaning nozzles. The rotating pencil jet of the rotary nozzle is tilted forwards and finishes off even the most stubborn dirt. The three jets, which are tilted back at a 30° angle, ensure the necessary forward movement and guarantee easy handling.